Nowadays, technology is growing at a rapid pace. I’m really impressed by the security softwares these days. Today, I came across a software known as ‘Prey’ that allows you to track a stolen laptop with ease. I was really impressed by the tagline- ‘They can run but they can’t hide’. Sounds cool isn’t it? Prey is a small app that’s pretty light on resources. It can help you track and find your laptop if it ever gets stolen. It works perfectly on Windows, Mac and Linux. The best part is that it’s available for free and it’s open source as well! Prey wakes up at a specified interval and checks a URL to see if it should gather the traces and send the report. If the URL exists, Prey will simply go to sleep again. It has a wifi auto connect system as well. It checks if there’s an active internet connection to send the information. If not, it will attempt to connect to the nearest open wifi access point available. 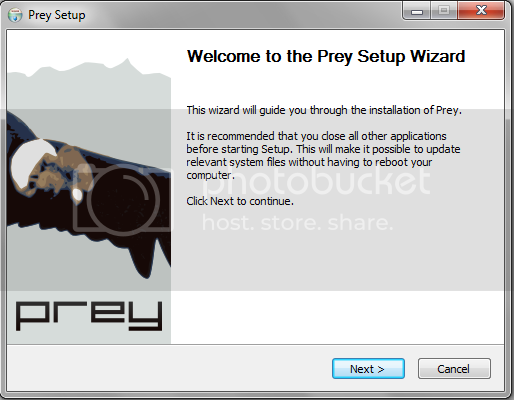 How to Install and use Prey? Firstly, download and install Prey from the download link below. During installation it will prompt you to configure the client. You can configure either through http (web) or email. If you plan to use http then you need to register with Prey first to get the API key and Device Key. If not then use the email option and give your Gmail or any other email client settings. If you give your email ID details then the report is sent to your email directly. But, if you use the Control panel method, you’ll be able to manage your computer state and Prey’s configuration through a web page, which also keeps track of all reports sent by Prey from your device. Hence, this is preferable and less complicating.